New regional high school program gets students involved in the community through service learning. Kizuna announces that applications for the 2016 Service Learning program are now available online at www.kizuna-la.org. Kizuna’s Service Learning program offers high school students a unique opportunity during the school year to stay involved in the community through community service. After successfully running the Youth CAN summer program for the past six years, Kizuna is looking to bring its high school programs to regional locations to keep students involved in their local communities during the school year. This first year will feature locations in the South Bay and in Orange County. Service Learning empowers students to be change-makers in the community, learning concepts of community service and leadership through projects, initiatives, and events benefitting the community and the individual. The program centers around the preparation, involvement, and reflection on community service projects. The program seeks to build a future for the Japanese American community through the development of a new generation of community leaders who are passionate, effective, and aware. Kizuna’s model of success is centered around developing well-rounded students with a strong self-identity that propels them in an increasingly complex world. The program runs from Oct. 9, 2016 to Feb. 19, 2017, meeting approximately every other Sunday afternoon from 1 to 4:30 p.m. Over the course of 10 sessions, students will engage in the processes of assessment, planning, action, and reflection while planning their projects that address critical needs in the Japanese American community. 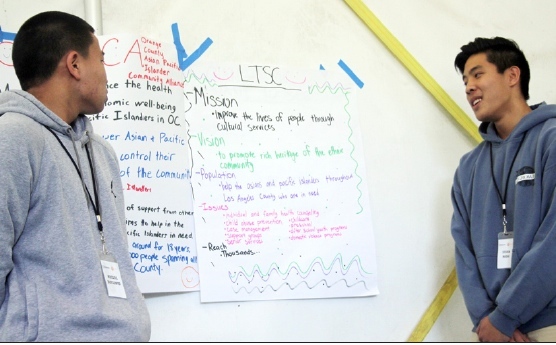 The Service Learning program is one of the several programs hosted by Kizuna, who seek to build a pipeline of leadership for the Japanese American community. Together, these programs offer a wide variety of learning experiences and ensure commitment from a next generation of youth. For more information about the program, including how to apply online, visit www.kizuna-la.org. For additional questions, contact Craig Ishii at [email protected] or call (213) 973-4465.